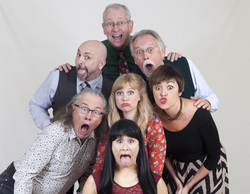 Right Between the Ears is an award-winning sketch comedy show developed by Darrell Brogdon, broadcast every week on Kansas Public Radio stations. RBTE has also been heard on Sirius-XM, National Public Radio, BBC 4 and Delta Radio. Four-time winner of the Gold Medal as Best Comedy Show at the New York Festivals, Right Between the Ears spoofs politics, TV and movies, sports figures, the rich and famous, the quirky and even the occasional turkey. To stay up to date on future shows, join our mailing list! On the air since 1985, the show began as The Imagination Workshop, presenting original radio plays and comedy in live broadcasts from the Lawrence Arts Center. 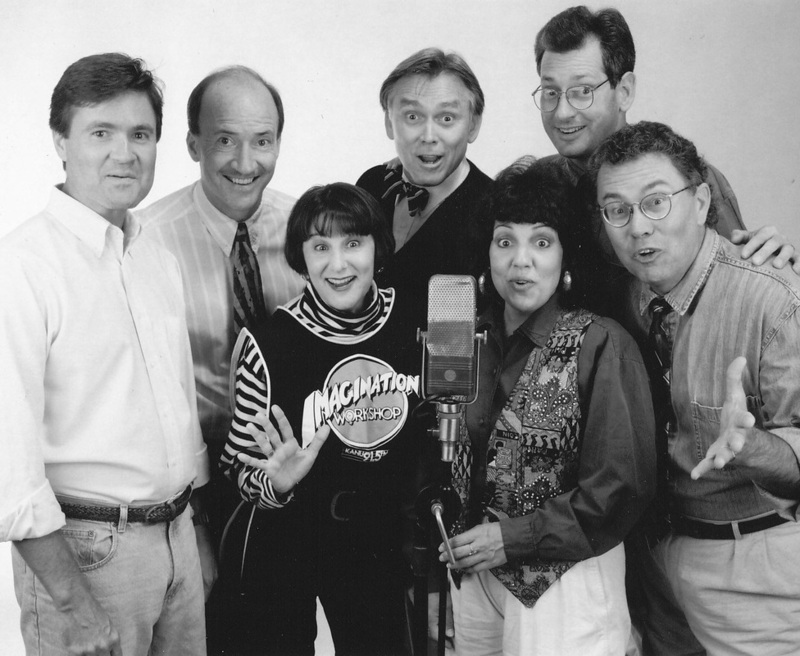 In 1990 the show's format was changed to all comedy, and the short comedy sketches which had previously punctuated the full-length radio plays became the focus. 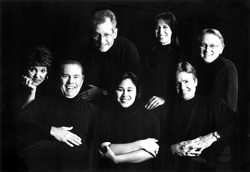 In 1993, the show received major production funding from the Corporation for Public Broadcasting. At the prestigious New York Festivals, Right Between the Ears has been awarded Gold Medals for Best Comedy Program (1991, 1993, 2004 and 2005), Best Humor/On-Air Personality (2003, 2004), Best Writing (2000, 2005), and the Festival Grand Prize for Entertainment Programs (1993 and 2004). Besides the radio show, Right Between the Ears has also appeared on TV. The show's 10th anniversary show was featured on KTWU-TV in Topeka and, in 2001, RBTE produced a weekly half-hour comedy show which was broadcast on public TV in Kansas and Missouri. In addition, RBTE has presented live shows for arts presenters and corporate clients, including the Kansas Bar Association, Hallmark, the Natl. Association of Educators in Journalism and Mass Communication, the Smoky Hill River Festival, the Kansas Feed and Grain Association, the Maple Leaf Festival, the KC Fringe Festival, the Mainstream Coalition, the Economic Development Council of Kansas City, the Big 12 Conference and more. Among the guest performers who've appeared on Right Between the Ears are Phil Proctor and David Ossman from the legendary Firesign Theatre; NPR's Susan Stamberg, Liane Hansen, Scott Simon and Carl Kasell; Barbara Rosenblat of Orange Is the New Black; and Gary Sandy of WKRP in Cincinnati. 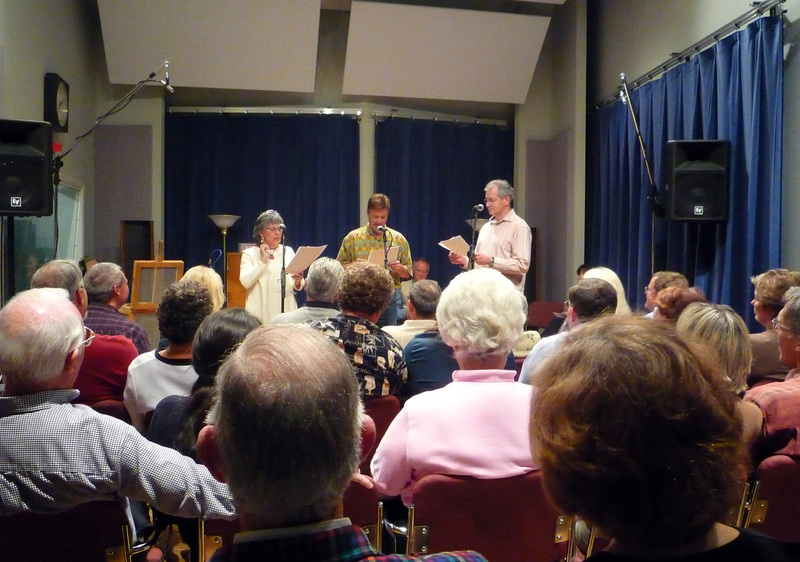 Our regular live shows have been presented at various venues in the Kansas City area, including Liberty Hall, the Lawrence Arts Center and the Kansas Public Radio performance studio in Lawrence, KS; and the Off Center Theatre and the Unicorn Theatre in KC.